Greenwich has a Strava group, so why can't Southwark have one? Meet on Sat 26 Jan, 10am at Peckham Square. Greenwich (https://www.strava.com/clubs/greenwichcyclists) and Tower Hamlets (https://www.strava.com/clubs/tower-hamlets-wheelers) both have Strava groups. But what about Southwark? Why can't we have one? Help us launch our Southwark-branded Strava group by joining this group and posting the route of the next Southwark Healthy Ride to Strava. Read more about Greenwich has a Strava group, so why can't Southwark have one? Oh to be a fly on the wall at a Southwark Cyclists committee meeting, when they decide whether their third Saturday Healthy Ride is going to be a Greenwich or a "Southwark" one! We wonder what criteria they use to make this decision. Perhaps it is the same as the criteria that the EU uses to allocate regional aid to Britain. Without black/white smoke to tell us what decision has been voted for, we are at a loss to work out whether large numbers people are going to turn up at Cutty Sark Gardens for a ride. We actually cycle and don't just talk about it! Read more about We actually cycle and don't just talk about it! 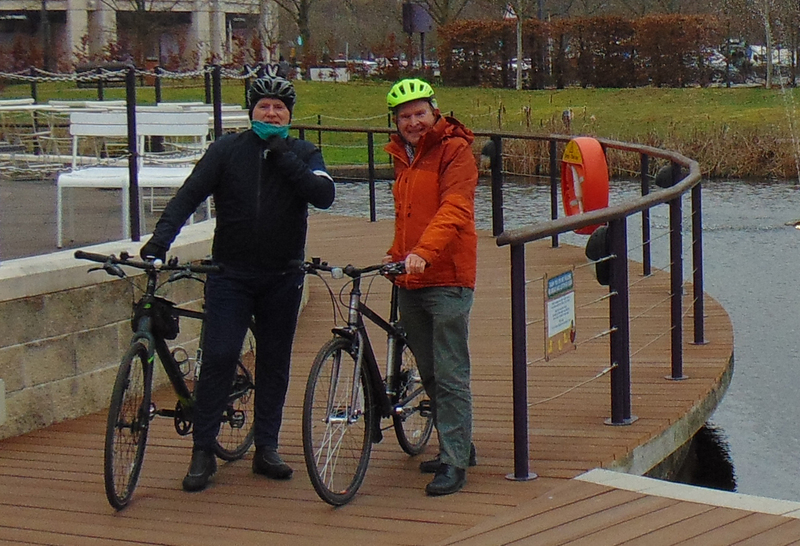 This ride was definitely an antidote to organising rides on letsride.co.uk where there are more ride leaders than riders because they are not being organised for a properly constituted cycling group. 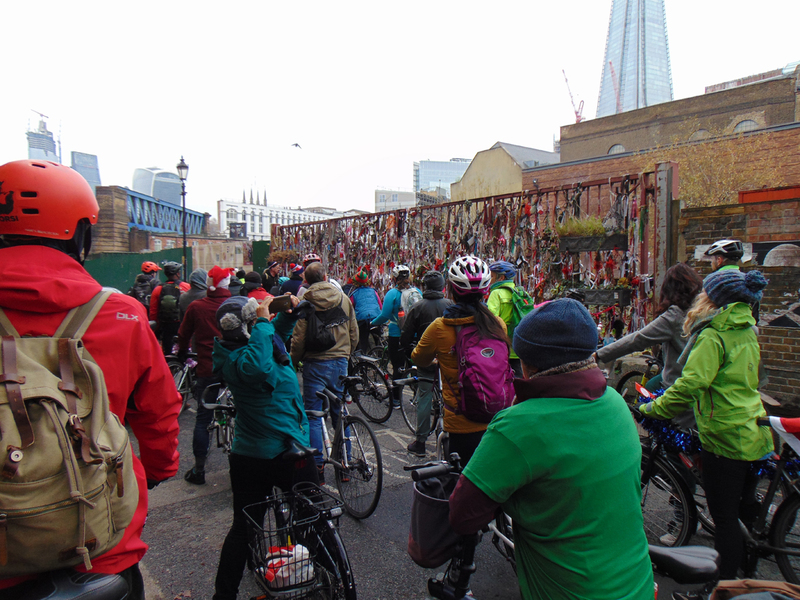 Seven years have passed since Barry Mason, the Coordinator of Southwark Cyclists, died, but persuading the group to reinstate his rides programme is proving to be exceedingly difficult. However, we have had some success with the Christmas Day Ride. This was Barry's 2004 ride report: http://www.cyclistsinsouthwark.org.uk/greenwichcyclists/reports/xmas04.html. It is the founding of the Dog & Bell Crew by Francis Sedgemore that has allowed the ride to continue. As he said in his 2013 Christmas Day ride report: "It's now a Dog & Bell Crew rather than a "Southwark" ride. Has been thus for the past few years. I'm still trying, so far without success, to get Southwark Cyclists involved in more social rides planning than their world-renowned Healthy Rides (https://www.lfgss.com/conversations/239582/?offset=125). For the 2018 ride, there were 20 of us who met up at Cutty Sark Gardens to cycle to the Southwark Needle. There were several people from north London who used the foot tunnel to meet up with us. Some of the riders had come from places as far afield as Manchester and Nottingham. When we got to the Southwark Needle we were met by Bermondsey Bill Owen and about 30 other riders who were waiting there. Keith Jones had also brought a Tower Hamlets group - they had met up at Beigel Bake . Bill showed us to interested places in Southwark and showed us what used the to be Royal Doulton China factory in Lambeth. We went round the moat of the new American Embassy and cycled through the Battersea Power Station site. We then continued through Battersea Park to Putney, where we stopped of at the Duke's Head for a drink. With discussions going on there about the propensity of cyclists to form splinter groups, we could have stayed there all afternoon, but Bill insisted that we leave prompty to get to Edware Road for our meal at 3pm. It was uncanny how the Beirut Cafe has set aside 20 places for our group in the basement, when they were exceeding busy, and that was exactly the number of people who wanted to eat. We then made our way home just after it had got dark. Of the 50 riders, two of us agreed to meet up on the Boxing Day Healthy Ride the next day, a few discussed the possibility of meeting up for the Midsummer Madness ride and a number agreed to do the same ride again next year. Sean made a suggestion that next year we should stop off a the Rocket in Putney rather than the Duke's Head, as they had lots of tables free, were cheaper and served drinks more quickly.